CNN is repeating its format from its previous GOP debate. 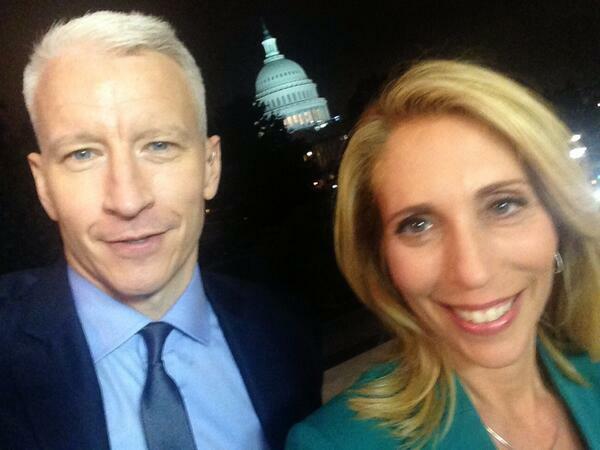 Anderson Cooper, who was reportedly the debate moderator, will be joined by a panel of questioners made up of chief political correspondent Dana Bash and CNN en Espanol political anchor Juan Carlos Lopez. CNN Tonight anchor Don Lemon will also ask questions of the Democratic candidates submitted via Facebook. As reported by CNN, Lincoln Chafee, Hillary Clinton, Martin O’Malley, Bernie Sanders, and Jim Webb have been invited to the first Democratic National Committee-sanctioned debate on Oct. 13 at the Wynn Las Vegas. If Biden were to declare by the 13, the network is willing to let him participate. The debate is being hosted by CNN and Facebook and will air live at 9 p.m. ET on CNN, CNN en Español, CNN International, and streamed on CNNgo. Westwood One will serve as the exclusive radio broadcaster.